This easy KETO recipe is perfect for lunch, dinner or anytime you are in a hurry. It’s so quick to make and requires few ingredients, but you’d never know it by the taste. If you are using frozen shrimp, defrost them in the fridge. Remove the tails and de-vein the shrimp prior to cooking. 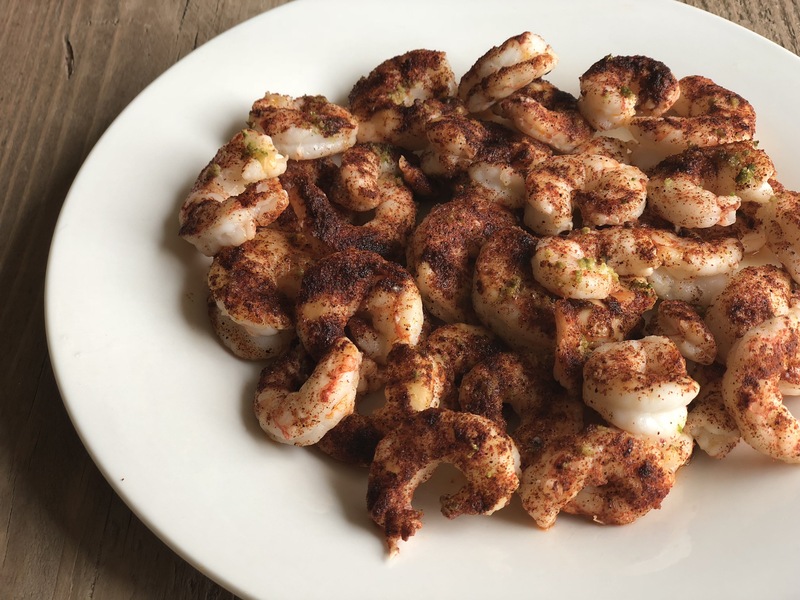 I used frozen shrimp that were already cooked and de-veined to make this recipe even easier. Zest 1 whole lime. Using 2-3 Tbsp. of olive oil, grease a foiled baking sheet and lay the shrimp on the sheet. Preheat the oven to 350F. Carefully season every shrimp using 1 Tbsp. of chili powder and lime zest. Once seasoned, squeeze the lime juice over the shrimp and bake in the oven for 12 minutes. Serve with a salad or as a lettuce wrap, the zesty shrimp is sure to please. Check out these other KETO low carb recipes HERE, HERE and HERE.